YOU can own a piece of the Holy Land! He was a true Nerd Pioneer. 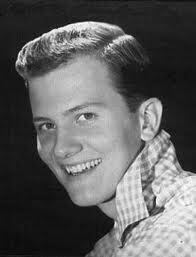 Sixties-era crooner Pat Boone, he of the white “buck” shoes, scrubbed face, saccharine lyrics and later career as an Evangelical. He stood out like a sexless schoolboy against Motown and Elvis, and evidently he hasn’t changed in his dotage. I was astounded to read that he is now the force behind The Holy Dream Land Company (HLDC), which sells square-foot parcels of land in Israel to Texas fundamentalists (and anyone else who will put out their $100). The thinking here is that Christians gaining ownership of the Holy Land will speed up the rapture (no, I’m not going to explain this to you) and also how neat it would be to OWN a piece of the place where Christianity began. And if you visit Israel, you get GPS directions to find your square and you can stand on it (with your feet very close together). It’s yours. No one else’s. You could defend it with your gun. You’ve got proof at home on a certificate framed on your wall right next to the stuffed buffalo head. I have placed this chilling example in my “Okay, I Just Give Up” file. But if any of us looked, I’m sure we could locate similar horrifying examples in under a minute. We aren’t the first to think that the world is going to H-E-Double Toothpicks. In this Sunday’s Gospel, the disciples are discouraged, fed up with squabbling in the new church and with the Roman soldiers flexing their muscles in their faces again. How do we handle this, they ask Jesus. What do we do? So Jesus tells them The Parable of the Wheat and the Weeds. I will warn you that it’s not as simple as ripping up the weeds. Pat never recorded this one and for that we are eternally grateful. My dentist doesn’t expect me to answer questions when my mouth is full of equipment. That’s one of the things I like about him. I’ve been going to him for a while now. He knows I have grown daughters, where I live, that I taught at Blake. I know he’s a young dad, lives in a suburb, doesn’t know what to get his wife for their anniversary. A couple of visits ago he asked me if I was retired. This got a surprised response (as it usually does), and a rehearsal of his own religious background (Lutheran; doesn’t go to church much; feels guilty about it). 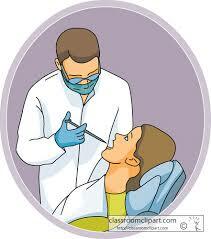 Molly, the hygienist also chimed in that she was (and will always be) a Catholic. that will never be done unless you do them. Dr. Paul and Molly both said they loved it. I don’t even know where I got these words. I think I wrote them myself, or they seeped in from something I’ve read. Hard to tell, except that they always provoke a strong reaction. I think it’s because they remind us that our sphere of influence is unique and we have responsibility for it – and opportunities within it. I oversaw a funeral service last week for a man who died at age 98 and truly was one of “the greatest generation.” He and his wife used to attend a church where I worked. I hadn’t even seen the family for thirty years, was astounded they called me, and I knew almost no one at the large service at the Lakewood Cemetery Chapel. I did the same dismissal. Got the usual response. Even the soloist asked for a copy. So I recited the dismissal. I think it will be a thing from now on. Some words put us in touch with our better selves, and connect us of with our immense power for good. And when we hear them, they go straight to the heart and remind us that God believes in us.